When will be The Seven Deadly Sins next episode air date? Is The Seven Deadly Sins renewed or cancelled? Where to countdown The Seven Deadly Sins air dates? Is The Seven Deadly Sins worth watching? The Seven Deadly Sins, a group of evil knights who conspired to overthrow the kingdom of Britannia, were said to have been eradicated by the Holy Knights, although some claim that they still live. Ten years later, the Holy Knights have staged a coup d'état and assassinated the king, becoming the new, tyrannical rulers of the kingdom. Elizabeth, the king's third daughter, sets out on a journey to find the "Seven Deadly Sins", and to enlist their help in taking back the kingdom. 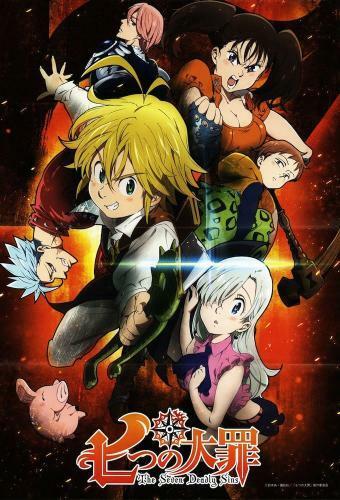 The Seven Deadly Sins next episode air date provides TVMaze for you. EpisoDate.com is your TV show guide to Countdown The Seven Deadly Sins Episode Air Dates and to stay in touch with The Seven Deadly Sins next episode Air Date and your others favorite TV Shows. Add the shows you like to a "Watchlist" and let the site take it from there.